One of the worst things that you can do when you buy curtains for your bay window is going small. Even a relatively short window can take up a surprising amount of fabric, and this is particularly true if you want to use some of your curtain material for drapes. A rich material that hangs elegantly is what you should be looking for, and materials such as velvets and tweeds can have the weight to allow you to add draping to your curtains. The space that these curtains take up is very important, particularly if you are trying to focus attention upon the window. 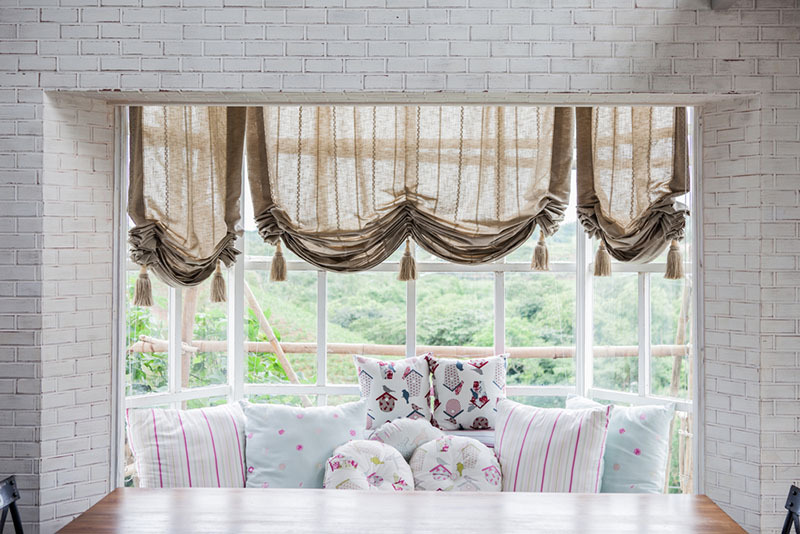 Large hanging curtains can be an impressive statement piece for this window. Think about the position of the bay windows. For example, some windows are nearly floor-length, while others curve around and have space for seating below it. You do not want overly long curtains if you have a couch just below it, as it might interfere with people sitting there during the evening. However, if you want to add feature curtains, which don’t move into the middle of the window but are more like fabric pillars at the edge of the window, then long pieces might help to break up the edge of the window, helping it to blend in with other parts of the furniture. Your choice will depend as much upon your own style, and how you view the purpose of the curtains, as it does upon traditional styles or decorative methods. One of the best ways to control your curtains in a bay window is to make use of bendable tracks. These help to support heavy materials and can even be the inspiration for some of your bay window curtain ideas such as lace curtains or finer cotton curtains. With a bendable rail, you can fit the position of the curtain as close to the window as possible, highlighting the curve of the window as a feature of your home. 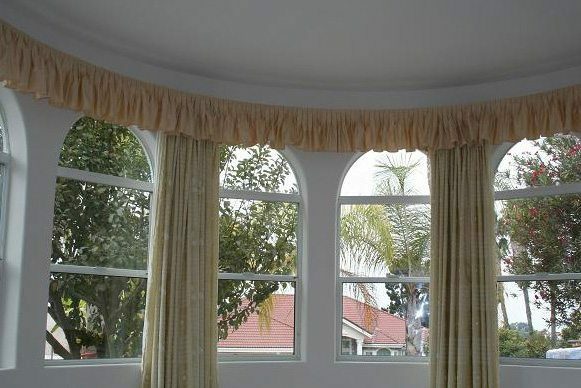 To find out more about how our bendable tracks work with bay windows and curtains, talk to our team today by sending us a message, or call us at 714-865-7799 now.